Glowing like a paint box in a dazzling palette of colours, a two-storeyed building in Lower Hutt is the head office of New Zealand's largest privately-owned and operated paint manufacturing company, Resene Paints Limited. The bold colours symbolise the dynamic business enthusiasm yet careful underlying decision-making long associated with Resene. 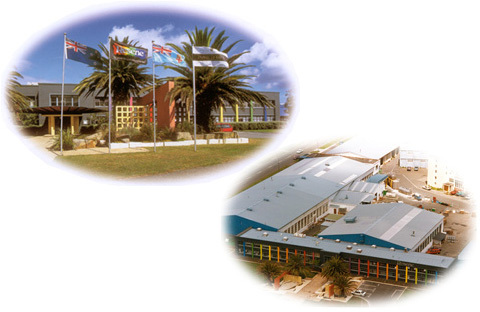 The company, established in 1946, is today an international company with manufacturing operations in Australia and Fiji and local production plants in Lower Hutt, Upper Hutt and Auckland. What is paint and how is it made? 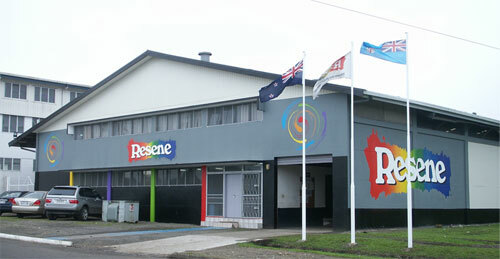 The Resene Head Office and New Zealand warehouse are situated in Naenae, Lower Hutt. Waterborne products are also manufactured at this site. 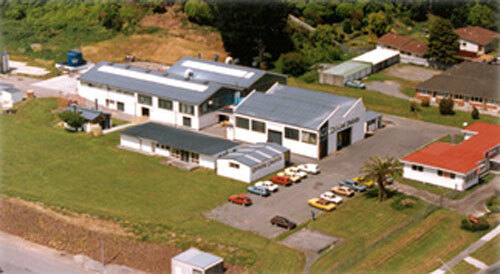 The New Zealand Resene solventborne products factory is located in Upper Hutt. 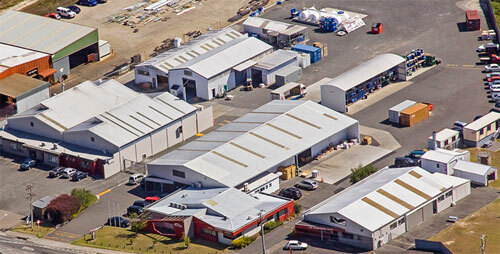 Resene have over 55 company-owned ColorShops and 40 resellers and stockists around New Zealand, manned by over 500 staff. Originally the company was named Stipplecote Products Ltd and manufactured cement-based paint under the brand name Stipplecote. In 1951, Resene launched the first waterborne paint in New Zealand under the brand name Resene (derived from the word resin). Steady demand for waterborne products over the intervening years led to the need for increased factory space. In 1962, the company moved premises from Kaiwharawhara, in Wellington, to Seaview where the company remained for 30 years before moving to its expansive plant in Lower Hutt. In the mid 70s the company changed its name to Resene Paints Ltd.
As a determined competitor of the international paint giants in the New Zealand market, voracious investment appetite has given impetus to the company's growth. Resene products extend through a full range of paint and specialist coatings for residential and commercial buildings, marine, heavy industrial, road marking, automotive and agricultural use. Wholly-owned subsidiaries of Resene Paints Limited are Resene Paints (Australia) Limited with operations in Sydney and the Gold Coast; Resene Paints (Fiji) Limited in Suva, Altex Coatings Limited in Tauranga and Resene Automotive and Performance Coatings Limited. Resene Automotive and Light Industrial sells its own brand of automotive, furniture and industrial paints and a range of car care products for the New Zealand market. Resene Automotive and Light Industrial is also the distributor in New Zealand for the world's leading brand in automotive refinish paint - DuPont car paints. Resene Paints Australia focuses on manufacturing marine coatings as well as a full range of industrial and architectural coatings from its factory on the Gold Coast. Altex Coatings Limited with manufacturing facilities in Tauranga and Australia, is New Zealand's largest privately-owned manufacturer of protective coatings for industrial and marine surfaces. Resene Pacific Limited in Suva manufactures a full range of architectural, industrial, marine and automotive coatings as well as furniture lacquers for the trade and retail customer. Resene diversified into the wine business in the mid 1990s and purchased Cellier Le Brun Limited in Blenheim, and this has added bubbles to the product range. Rockcote Systems (NZ) Ltd joined the Resene Paints Limited Group in July 2002. Established in New Zealand in 1989, Rockcote Systems (NZ) Ltd specialise in the manufacture and distribution of an extensive range of acrylic premium quality plaster cladding systems and coatings to the construction industry. Although many paint manufacturers have come and gone over the past twenty years, innovation has kept Resene a step ahead of the game. Resene is well known for leading the development of environmentally sustainable surface coatings, from the basic innovation of Resene waterborne paints to the removal of lead from decorative paints in the late 1960s. In 1996, the company continued its pioneering role into manufacturing 'green' paint with the launch of New Zealand's first comprehensive range of Environmental Choice approved paints. Resene is noted for its early work on tinting systems and its introduction, to the architectural profession, of bold and bright colours at a time when beiges were considered daring. In the international arena too, Resene has established a reputation as a technological leader. The most recent Resene development has been in exporting a tinting technology system. Resene has supplied this technology to South Africa, Zimbabwe, the Dominican Republic, Malaysia, Indonesia and China. One of Resene's most successful commercial decisions has been to concentrate on the commercial sector, and to develop the products required to meet its needs. Resene maintains a close relationship with architects as a principal sponsor of the New Zealand Institute of Architects Resene awards for Architecture. 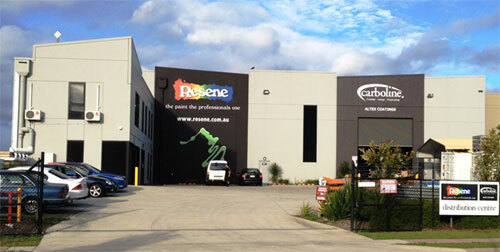 Resene also sponsors the Architectural Designers New Zealand and the New Zealand Master Painters. Resene is often reported as one of New Zealand's success stories. It is surprising to find a building in any given street that hasn't been touched by Resene. Resene paints have appeared on some of New Zealand's most important recent architectural projects nationwide: Auckland's Sky Tower, Sky City and Casino; Museum of New Zealand Te Papa and the WestpacTrust Stadium in Wellington, Christchurch's Convention Centre and the Dunedin Public Art Gallery. Looking back now it is easy to recognise opportunities which became important turning points with management stability a major factor in the continued success of Resene. As an innovative company, who maintains a tough competitive edge, Resene has turned manufacturing and selling paint into an art form.